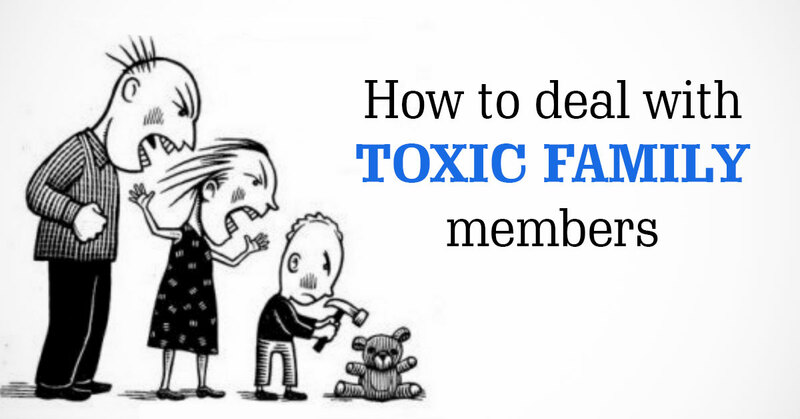 Even though you are an adult, toxic family members and parents can still make your life miserable. It doesn’t matter how much they abused and bullied you when you were a child, they still believe you owe them. Owe them respect, loyalty and you should do what they want now and forever. They don’t value your point of view and your standards don’t count. ‘’They know best, you are not important.’’ In their eyes, you are still a bad child, an ungrateful and selfish child. And they think you are crazy because you don’t accept their views of reality. Maybe the worst situation is when they are nice and sweet to your children but they are still mean and toxic to you. You still need to set a good example for your kids – no bullying allowed in your personal space. You’ve tried to tell those toxic people how you feel, how hurt you are. You’ve tried to reason with them and to prove to them you love them. You’ve tried hard to be a good child. But, you have never succeeded. You never will. They will never accept or approve of anything you do. Well, you owe those toxic parents and family members nothing! Absolutely nothing! You owe everything to your future and to the wonderful life you can create. You owe everything to the family you need to protect and to set an example for them. It is time you avoid those bullies, especially those toxic parents or family members. Here is how you can do it. When you think you are ready, approach that certain family member that makes you feel miserable. Ask them why they are treating you the way they do. Know that you can’t change their behavior, nor can you control it. The only way you can control is the way you react. If you act as if everything is OK, toxic people will walk all over you and believe you are weak. Well, show them how strong you can be and never allow such treatment. Do not forget what they have done to you. But, do not hate them. The more you hate them, the more depressing your life will become. In other words, toss all those negative feelings away and live happily. Also, don’t strive for revenge, simply don’t allow them to take complete control over you like they used to. If you always start thinking about what they said or did, you will be overwhelmed with all the things they want you to do. But, the truth is, no matter how hard you tried, they never accepted or acknowledged your effort. Well, don’t do it. Don’t do what they want you to do. Instead, do whatever you want to do. Whatever makes you feel comfortable and happy. You can take their ‘’advice’’ but never let them dictate your life. Rebuild your confidence by spending time with positive people. If a family member is incredibly toxic and treats you terribly, it is best to find freedom by being surrounded by people that make you happy. Encourage yourself to find new friends who will treat you properly. Remember, you deserve to be treated with respect. You have done nothing wrong. Every single one of us has a soft spot, especially for family members. No matter how difficult they may be, we still love them. But, there is a limit to everything. There is only so much we can take. If a family member treats you with disrespect everytime, they see you, confront them. Do not allow them to physically or emotionally abuse you. Stay strong and defend yourself no matter what they ask of you. Remember, you are your own person. You write your own story. Do NOT let them dictate yours.